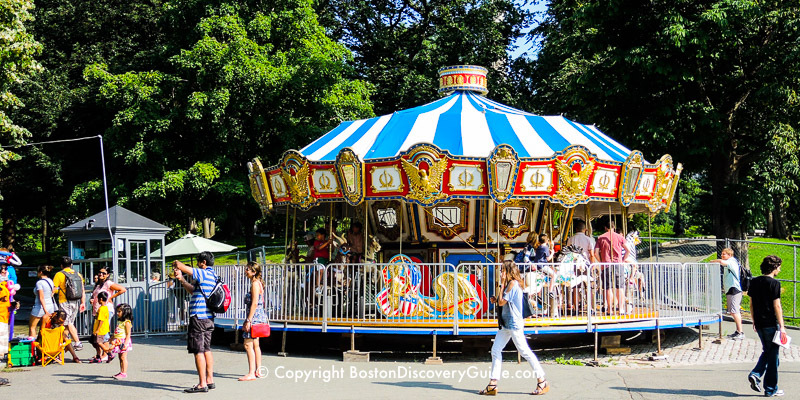 These Boston tours for kids provide plenty of entertainment - plus you'll see top attractions while enjoying these fun things to do with kids in Boston. 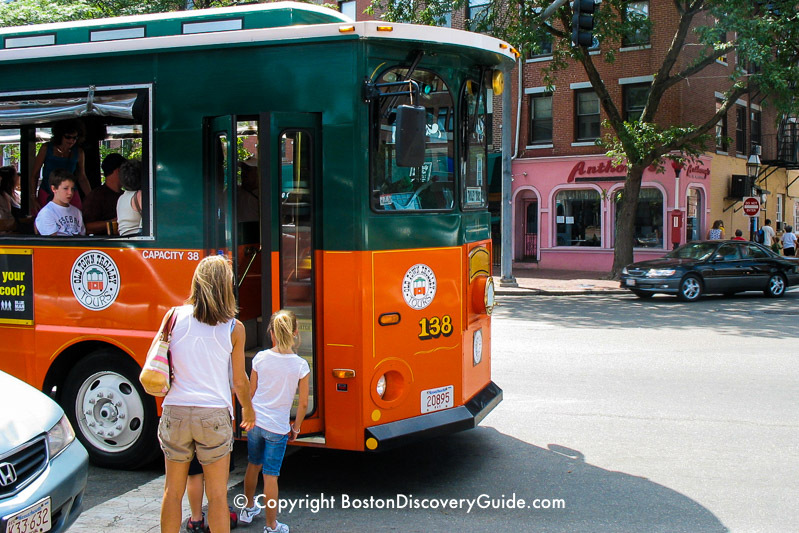 Our recommendations include a family-friendly bike tour through Boston's most interesting neighborhoods, the chance to see history come to life, a fun cruise or two, and hop on/hop off trolley rides where you can get off and on as often as you please. We also suggest a few self-guided tours to favorite kids attractions, including the famous Make Way for Ducklings statues. 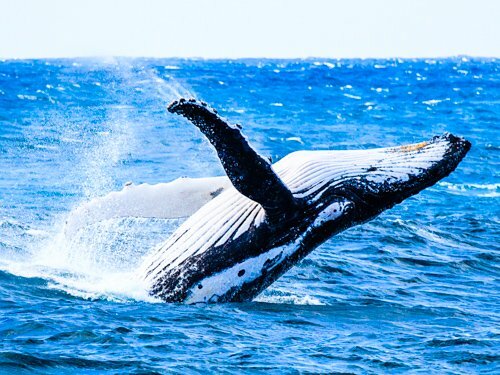 Best of all, these activities make sightseeing easy and fun for the whole family. Remember . . . when your kids have fun, you will too! 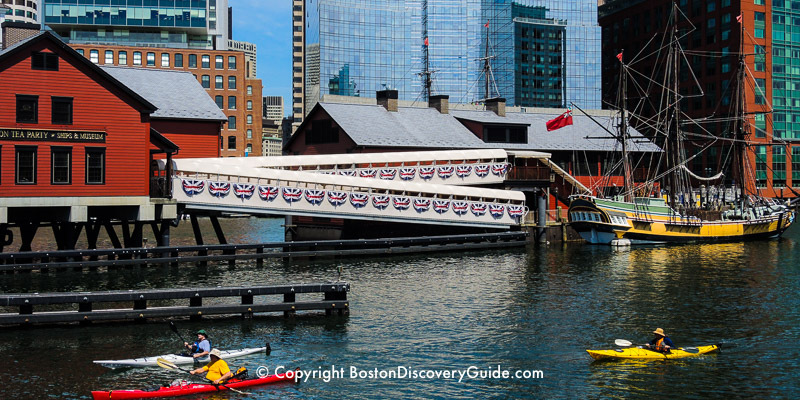 Kids love the guided 1-hour tour of the Boston Tea Party Ships and Museum, which takes you back to the momentous December night in 1773 when the Sons of Liberty touched off the American Revolution with their tea party in Boston Harbor. See one of the tea chests, watch a reenactment of the event, and explore the authentically recreated ships. You can even learn how to brew tea and then enjoy a cup in Abigail's Tea Room. You'll see colorful trolleys all Boston, dropping off and picking up riders at major attractions. Young children love the trolley ride just for itself, but for older kids and you, the conductor's descriptions of sights along the way give you the perfect intro to the city. Ride as long as you please - then hop off, explore a neighborhood or visit an attraction - and hop back on for more! Look for cool extras with your trolley ticket - a free second day and a free Harbor cruise. 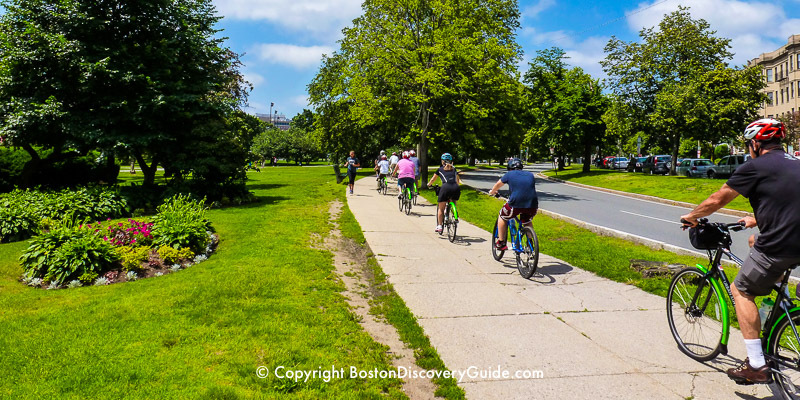 Join a small bike tour led by an experienced guide for a fascinating morning or afternoon touring Boston's gorgeous historic neighborhoods. 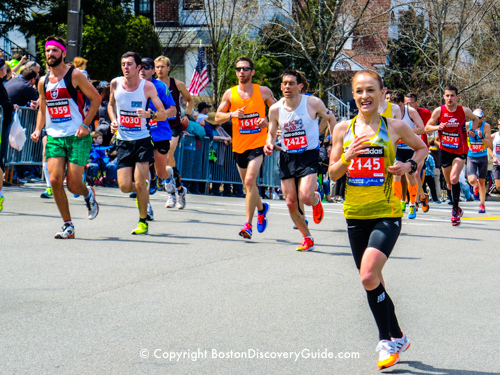 Along the way, your knowledgeable guide will tell you about the famous sights, such as Fenway Park, the Italian North End, the Rose Kennedy Greenway, the Esplanade, Beacon Hill, and Copley Square. 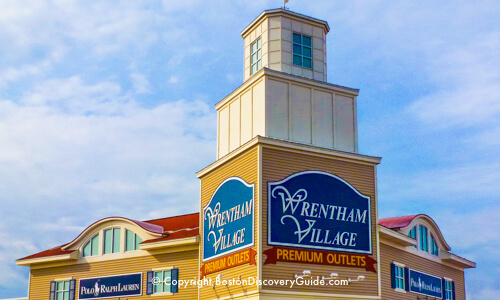 Your kids will enjoy the ride - and you'll get a great introduction to the unique charms of each part of the city. This seasonal tour (June - October) makes history come alive for your kids! 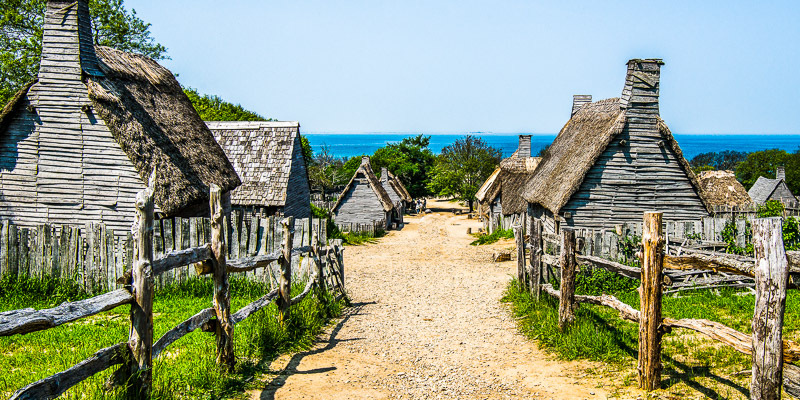 Imagine experiencing the 17th century world of the Pilgrims who landed in 1620. Historically accurate Plimouth Plantation is a unique living museum where actors portray the actual Pilgrims who settled here and the Wampanoags who helped them survive. But that's not all. You'll also visit Plymouth Rock and the Mayflower II, and explore the Plymouth waterfront on your own. 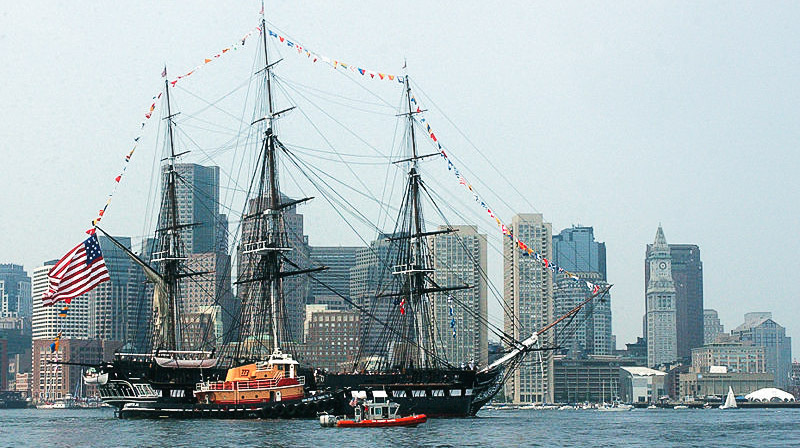 This Boston Harbor cruise packs a lot into 45 minutes - unique views of Boston's historic North End, the Bunker Hill Monument, and the USS Constitution ("Old Ironsides), America's famous ship from the War of 1812. Get off and board the Constitution. Crew members in 1812-style uniforms give you a free tour - easy to see why this is one of the most popular Boston tours for kids! Fortunately, younger children are easy to please when you want to go on a Boston tour (don't agree? just wait until you have teenagers!). 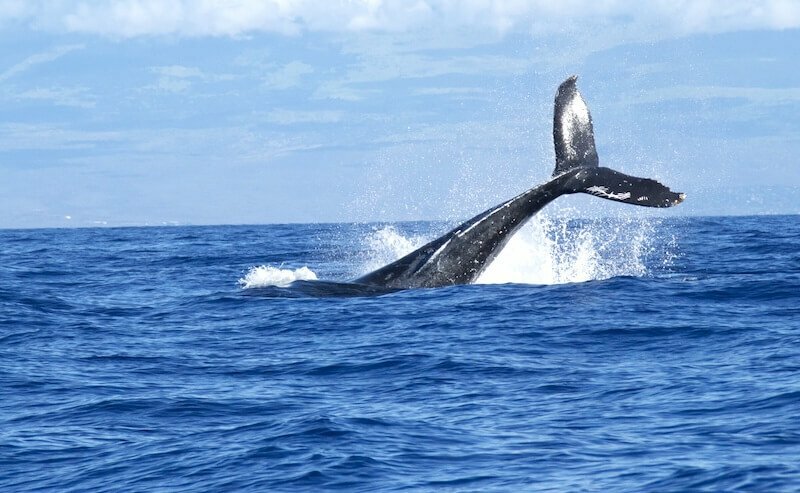 Almost any tour involving a certain amount of action will entertain them. But if you really want to hedge your bets, try these self-guided tours to two of Boston's best-loved attractions. The Victorian-Era Public Garden is where you'll find lovely formal flower gardens plus two of Boston's most famous attractions: the Make Way for Ducklings sculptures made famous by the children's book featuring the Mallard family, and the Victorian-era pedal-powered Swan Boats gliding silently across the glassy surface of the Lagoon. Enter the Public Garden at the entrance at the west corner of Charles and Beacon Streets. 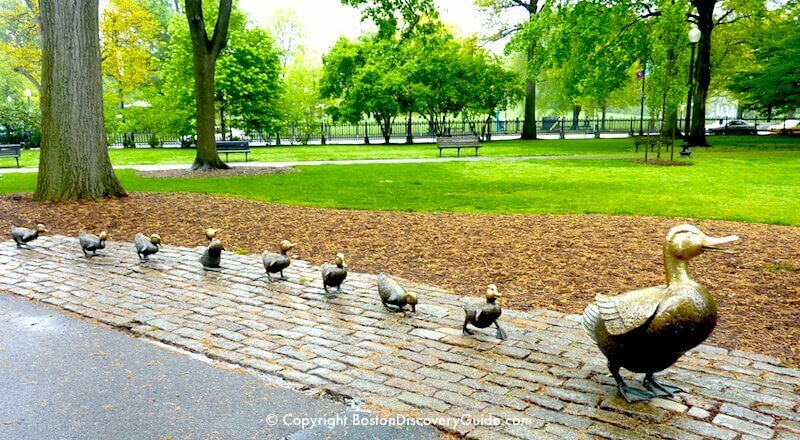 Almost immediately as you walk along the path, you'll see the bronze ducklings and Mama Mallard on your left. These sculptures provide the perfect photo opportunity, especially if you have children of a certain age. Continue along the winding path and bear left. 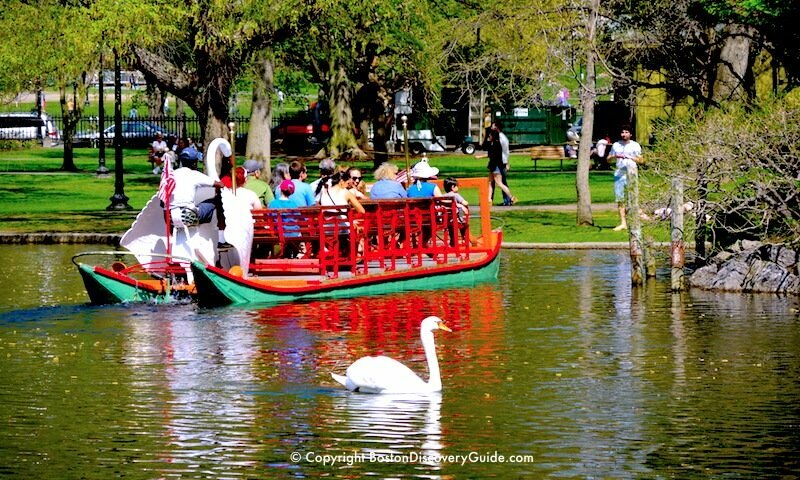 In front of you lies the Lagoon, a quiet artificial pond where Boston's Swan Boats have been providing the best ride in town since the 1800s. Walk down, get tickets, and soon you'll be circling around Mallard Island, made famous by the Make Way for Ducklings book by Robert McCloskey. You'll see plenty of real mallards along the way, and if you're lucky, perhaps even the Lagoon's resident swans, Romeo and Juliet. After your Swan Boat ride, walk across the bridge spanning the Lagoon, and admire the Public Garden's tranquil beauty. As you walk toward Arlington Street, you'll see a magnificent bronze statue of George Washington on horseback, considered one of the best in the country. Used for cattle grazing by the first Puritans settlers, Boston Common is our "people's park," dedicated to recreation, occasional concerts, public events such as the Garden of Flags on Memorial Day weekend, and even theater when free Shakespeare on the Common productions attract thousands of viewers every July and August. Enter Boston Common at the entrance at the east corner of Charles and Beacon Streets. Over to your left, a colorful carousel provides the best ride in town from April through October. Continue walking up the hill with the tall monument, and just beyond the peak, you'll reach Frog Pond. If you're visiting during the winter, rent a pair of skates and go for a spin on the seasonal ice rink. During the summer, the pond transforms into a spray pool. 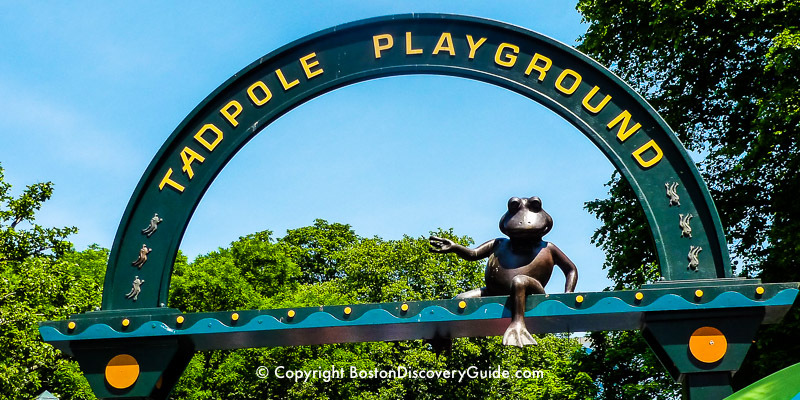 You'll see Tadpole Playground across from the pool. Beyond the pond, toward Tremont Street, is a Colonial-era burying ground. And the Common, like every other public space in Boston, is full of all sorts of statues and memorials. If you have teens with you as well as kids, walk in the direction of the gold-domed Massachusetts State House where you'll see, right at the edge of Beacon Street, the Common's most famous monument: the Robert Gould Shaw and 54th Regiment Memorial commemorating the bravery and sacrifices of the Afro-American regiment, the first to be recruited in the North for service in the Civil War. Entrance to the State House is free, and teens will love exploring the Hall of Flags and other interesting displays. But if you're here with just kids, don't count on getting farther than the playground! Boston Tours for Teens - Ghosts, chocolate, movies, thriller boat rides - it doesn't get better than this!